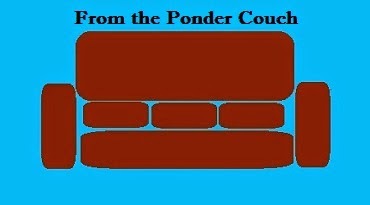 From the Ponder Couch: BREAD! Remember "Insomniac with Dave Attell"? I used to watch that show in college when it was first on Comedy Central. In the show Dave would travel around whatever city he was in to do his stand-up comedy, visiting all of the different places that were open, or at least running in some way, from late night through early morning. If I remember correctly he went to a lot of places that made dough. I'm talking about cakes, cookies, pizza, but especially bread. People starting to make bread at like 5, 4, 3 o'clock in the morning. I always thought that sounded... nice. It reminded me of a visualization activity one of my high school teachers had us do. He had us all close our eyes and imagine that it was 5 years in the future. It was early morning, we were the first one up in our house. How did we look? How did we feel? What did we do? Have breakfast? Coffee? Juice? I don't remember the point of the activity, but I remember picturing myself with facial hair (which I did have 5 years later), drinking juice, looking at the paper, etc. Whatever else I did, I remembered it feeling peaceful. In college my friend Chris and I would walk around Mitchell, SD late at night. We'd spend a lot of time talking. Usually we only went until 2 in the morning before we headed back to the dorms for sleep, but occasionally it would be longer. These were peaceful walks that helped us both sort a lot of things out. 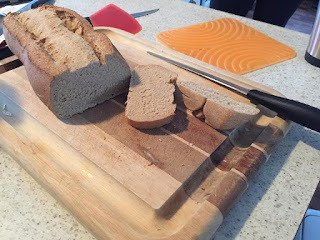 When I saw people baking their bread at the time of night that Chris and I were often walking around the deserted streets of Mitchell, it reminded me of that visualization exercise. I started to think that I might like to learn to bake bread. That was a good 11 years ago. 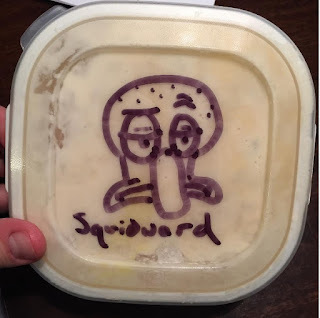 I named it Squidward because he's so sour. But I forgot to keep feeding it. It went moldy, and I wasn't sure if I could save it. On January 15, 2017 I set my alarm for early in the morning and made some straight dough bread! It tasted pretty good! 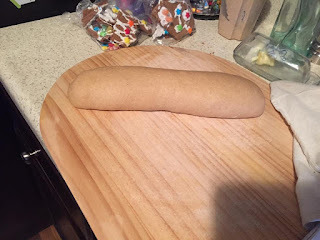 I think it would be better with white bread flour (I used whole wheat flour), but I really liked it! It took a lot longer than I thought it would. But I want to keep doing it when I can. Today, January 29, 2017, I baked my first loaf of sourdough bread! I named it Oscar because he, too, is sour. That's supposed to be Oscar the Grouch peekin' out of his trashcan. This lid was a lot smaller and I started drawing it smaller than I meant to. It didn't turn out as poofy as I though it would. It's much more dense. I probably didn't fold it enough or something. I'll try something else next time. I'M NOT LOOKING FOR TIPS, BREAD BAKING PEOPLE. It took from 7:30 - 2:45 to make it, and I had to wait another 2 hours before I could cut into it. 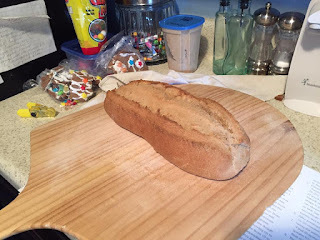 I will definitely be making more sourdough in the future! If you watch that enough times, I might get a penny.